These easy-care promotional shirts are ready for work or play! 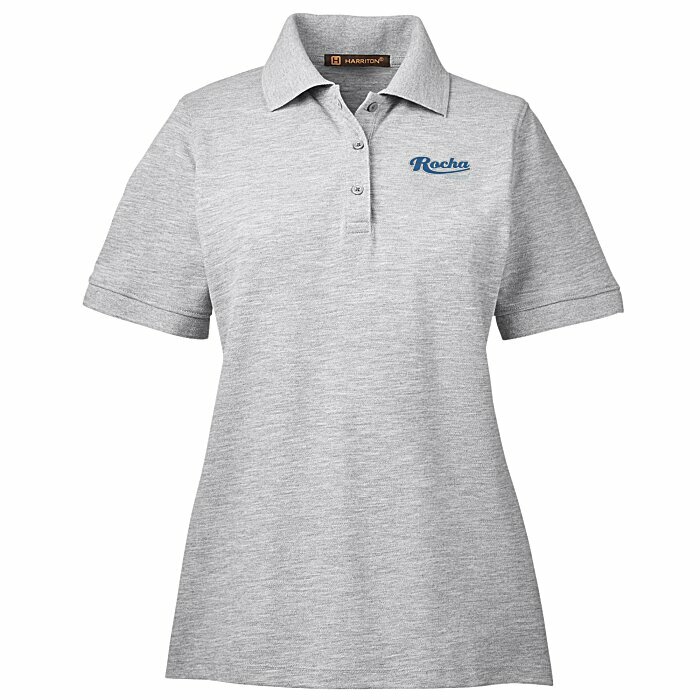 This polo shirt leaves employees looking professional and tidy with a three-button placket, flat-knit collar and cuffs, and a hemmed bottom. Breathable side vents keep them comfortable and dry on warm and active days. Flattering shape provides for a tailored, feminine fit. This Harriton® polo is made with a 5.6-oz 65/35 polyester/cotton pique blend of material. This material blend offers a cozy, silky hand while also helping reduce shrinkage. 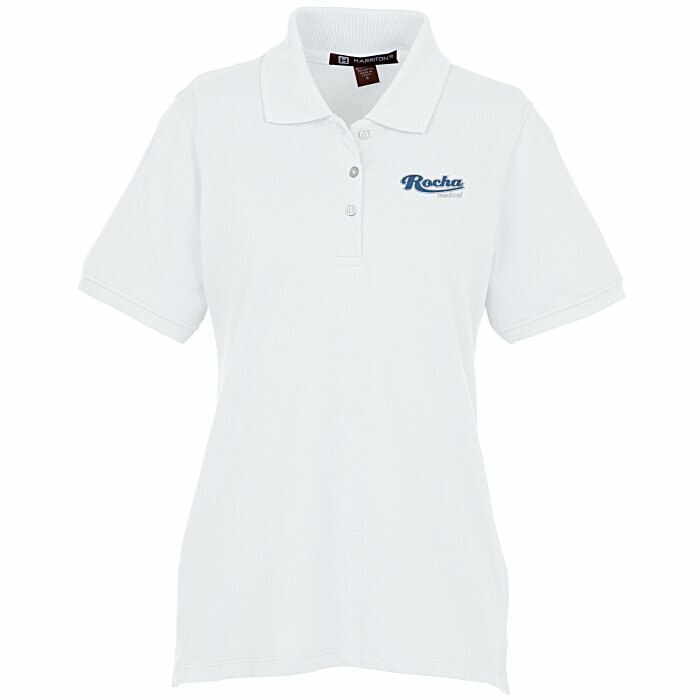 For the matching men’s polo, see item #105472-MHarriton 5.6 oz. 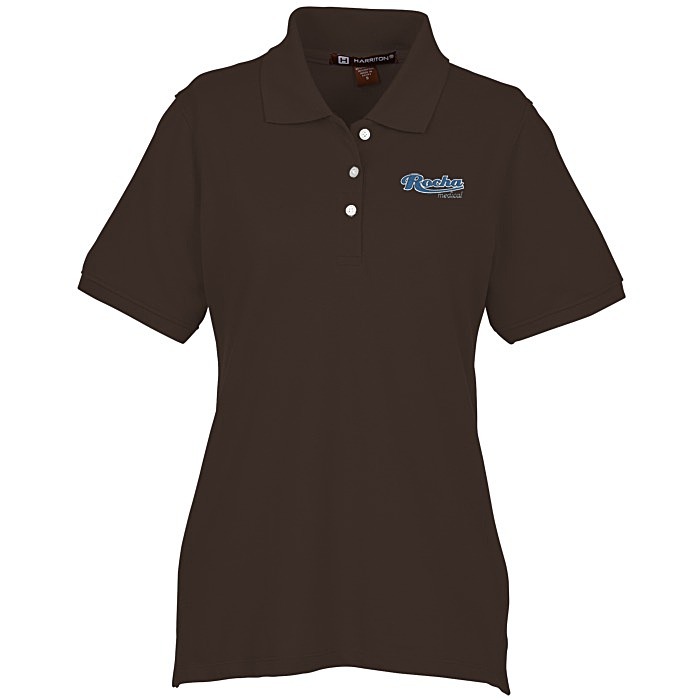 Easy Blend Polo - Men's. If you’re interested in this polo with contrast tipping, please see item #130875-LHarriton 5.6 oz. Easy Blend Tipped Polo - Ladies'. One-time tape charge: add $35 for less than 24 pieces; FREE for 24 or more!